When Maul takes the crew of the Ghost hostage, Ezra and Kanan must pass a trial in order to recover an ancient Sith artifact to save them. (Airs October 1st). Sabine goes undercover as a cadet in the Empire's elite flight academy to help free several young pilots who want to defect to the rebellion. (Airs October 8th). Hera's rebel supply mission to Ryloth becomes personal when she and the Ghost crew brave overwhelming Imperial forces to recover a memento from her ancestral home. (Airs October 15th). 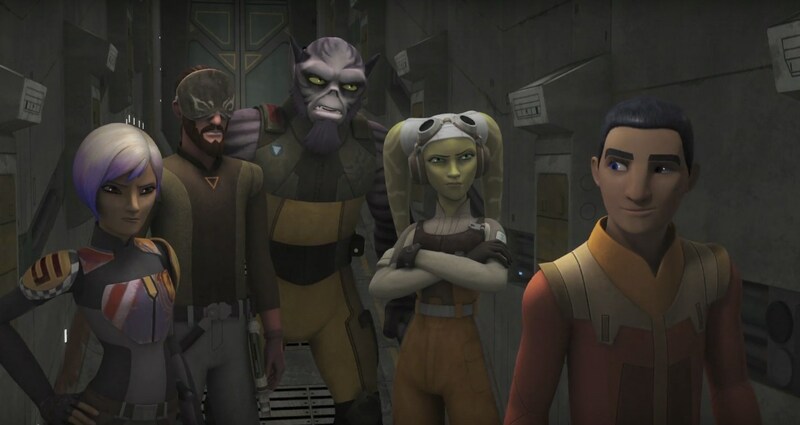 A preview for "The Holocron's of Fate" can be found at the end of this week's "Rebels Recon" and one for "Hera's Heroes" was released last week.